Earlier today, to my shock and dismay, I used the Word Thesaurus tool just to try to come up with a synonym for “design.” This is completely unacceptable (and fruitless), and just goes to show that I’ve spent too much time of late researching rather than writing. This got me thinking about just how many danged words there are out there. And how many different ways we can combine them. And how brilliantly bizarre Prohibition-era slang is. Bee’s Knees: just the best thing ever. Along with a string of now (sadly) obscure phrases, this is evidence of an odd trend of animal expressions. Some others you may or may not know: cat’s pajamas, monkey’s eyebrows, clam’s garter. Dewdropper: a young slacker who sleeps all day and heads straight to the juice joints at nightfall. This gives new meaning to all those bars I’ve seen called “Dewdrop Inn”. 86’d: If you’ve ever worked at a restaurant, you know that when an item is 86’d, that means the kitchen is out of it and it’s off the menu. According to Mental Floss, Prohibition-era slang is one of four possible origins for the term. Supposedly, a speakeasy called Chumley’s in New York City, had the usual quid-pro-quo relationship with the police. When a raid was planned, police on the take would call up Chumley’s and tell the bartender to 86 the customers: send them out onto 86 Bedford Street and hide the hooch, while the obliging detectives stormed through the entrance on Pamela Court. 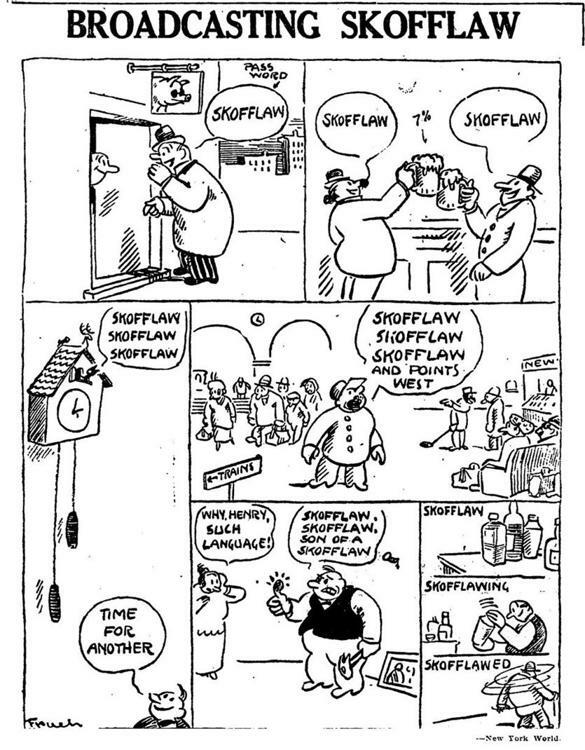 Scofflaw: This is one of my favorite words, and a key factor in why I created the Scofflaws and Speakeasies tour a few years ago. 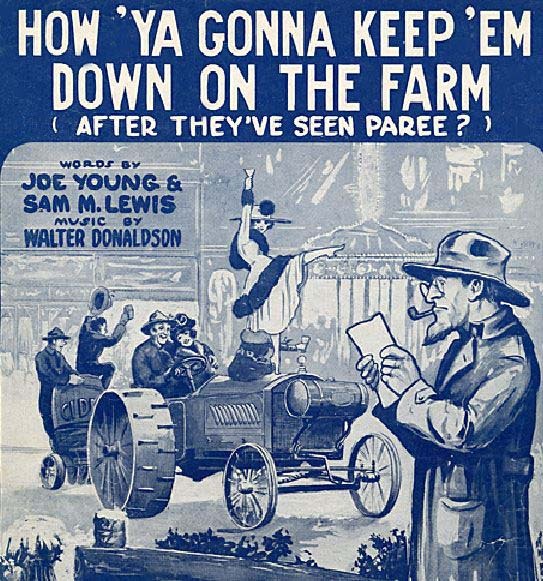 If you read any of the links I include in this post, read this one from the Boston Globe on the delightful history of the term, and how it originated from a quirky, early-20th-century American practice of making up words just for the hell of it. From the Boston Globe contest, January 1924. I could go on, but there are plenty of impossible-to-prove lists of “Flapper Terms” and “Speakeasy Vocabularies” floating around the unsubstantiated corners of the internet. And I’ll leave it to the professional linguisticians (and possibly my retirement years) to track down the origins of all of these wacky words and phrases that Prohibition birthed and nurtured. So why did the Roaring Twenties give us so many juicy new words? Well, in my amateur opinion, there are two major reasons behind the lexical expansion: transportation and globalization. Let’s break it down. Transportation: Everyone knows that Henry Ford invented Detroit, right? Wrong, on so many levels. It is true, though, that transportation changed dramatically and dizzyingly at the turn of the last century. But it wasn’t just about cars. What many of us don’t realize now is that once upon a time in Detroit and elsewhere, economists and investors were 100% convinced that the still-new automobile was already outdated, soon to be replaced by private airplanes. The Adcrafter of 1950 will smile as he refers to the newspapers of today and reads in the “Adcrafter” files about the foundation of a corporation of Adcrafters to develop and merchandise an airplane that can be sold to meet the requirements of the average man. For his transportation he will not be obliged to depend upon railroads, street cars, street busses and automobiles. 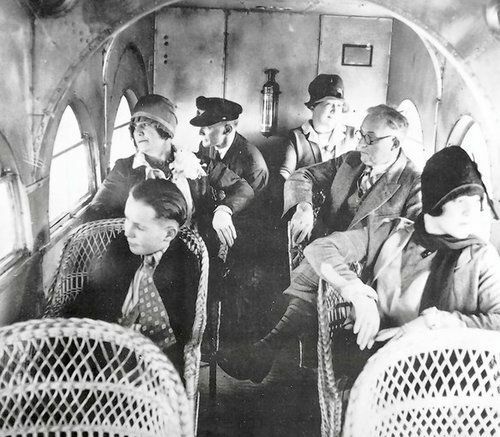 He will have his own plane and when he is to take a trip to New York his plane will carry him to the dirigible depot where it will be stored when he goes to his stateroom or the observation car. A trip to San Francisco will require a day instead of a week, and he will be able to fill rush orders of his product in London, England, the second day after the order has been received. Sadly, just like Marty McFly’s hoverboards and flying cars, this shining future never materialized. So what does this mean for language? Well, if you can travel lickety-split across the country, even if it’s not by dirigible, then language can spread just as quickly. Regional idioms and aphorisms spread “like honeysuckle in Virginia”. Too, we had a whole new passel of words from technological achievements, especially in the automotive industry. Prohibition-era slang is riddled with car talk, from Whiskey Sixes to Hayburners. And because it was easier to get around the country–and the world–newspapers flourished. Now George and Joanna in Bucksnort, Tennessee*, could get all the latest news from Nashville, just about 60 miles away. 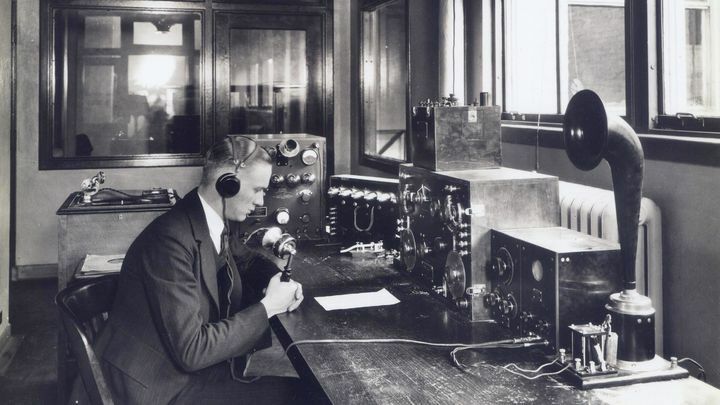 On September 1, 1920, Detroit’s 8MK radio station, owned by the Detroit News, revolutionized communication yet again. That day, for a few hours, the local election results were read into the microphone and broadcast just as quickly as they came in. Just a few years later, the silver screen finally found a voice when talkies were born. Suddenly, the colorful accents and flavorful speech of folks from all over the world could be transmitted anywhere with a receiver. This brings us to our next reason for the grand lexical flowering of the 1920s: globalization. Prohibition came hard on the heels of World War I. While it’s not exactly ideal, war is a pretty darn efficient way to spread language. Yanks, Brits and Aussies fought together in the trenches and swapped songs and stories and slang. On coming home, they shared that wealth of words and so the world got a little closer together, while at the same time our store of phrases grew. Folks like Hemingway and Fitzgerald certainly helped a bit too. Cultural diffusion, particularly via mass marketing and mass media, has facilitated the spread of linguistic features outwards from a high-prestige variety, with which others wish to align themselves. In practice, this has generally meant the English of the USA, and the spread of American usages into British and other Englishes – train station for railway station, for example, can for tin, the pronunciation of the sch– of schedule as /sk/ rather than /sh/, the use of be like to introduce direct speech (I was like, ‘Oh my God!’) and of cool as an all-purpose term of approval – has been a phenomenon widely recognized (and often adversely commented on – though the fuss eventually dies down, as what were originally Americanisms, such as deputize, hindsight and tornado, go quietly native). This simultaneous swelling and shrinking of language continues today. Merriam Webster added more than 1,000 words to its dictionary this year, including binge-watch, humblebrag, and face-palm. Just as was the case 100 years ago, the proliferation of new words in the English language is a direct result of technological breakthroughs and the wide reach of global media. Whether our language is spread via telegraph, radio, film or the internet, it all adds up to a sockdolager of a phenomenon. *Totally real place at one time, though the constructive of I-40 spelled its end, sadly. You can see the exit sign for Bucksnort in Hickman County.